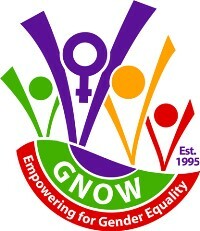 On Saturday, 25 November the Grenada National Organisation of Women (GNOW) held a successful Annual General Meeting (AGM) at UWI Open Campus, Marryshow House, HA Blaize Street, St George’s. Jasmine Redhead, Attorney-at-law, guest speaker at the AGM, led a discussion that gave a human face to violence against women and girls and urged introspection and reflection which would lead to individual and collective resilience. The presentation was inspiring and well received with a standing ovation. There has been an upsurge of reported cases of violence against women and girls, including sexual harassment, rapes, gang rapes, sexual abuse and murder in our society. GNOW will continue to be militant in addressing the scourge of violence against women and girls and denounce recent incidents which saw the death of an innocent child and rapes of children. GNOW will continue with the work to sensitise and educate boys and men to respect, love and care for their mothers, sisters and girls, in their homes, communities, schools and places of work. GNOW will continue to mobilise national conversations with all stakeholders and implement its programmes to protect children including its Protecting Minds and Bodies (PMB) project, along with other umbrella organisations with the same aims. These, include all entities in the private and public spheres. GNOW will continue its community outreach programmes implemented in Beaton, St David, and especially in areas which are hotspots for gender based violence and discriminations against women and girls. GNOW will identify and declare national champions in the fight against gender based violence. GNOW commits to harmonise their work with other stakeholders to maximise shared national efforts to end gender based violence and discriminations against women and girls and to provide training and safe spaces for discussion and support groups for victims. GNOW will build on all of its past, recent and current efforts to continue its work in Grenada and the wider region.